"Ringan (रिंगण)" is an upcoming movie to be releasing on 30th June 2017, Ringan: The Quest is a year 2015 "National Award" Winning film in the category "Best Marathi Feature Film" at the 63rd National Film Awards. 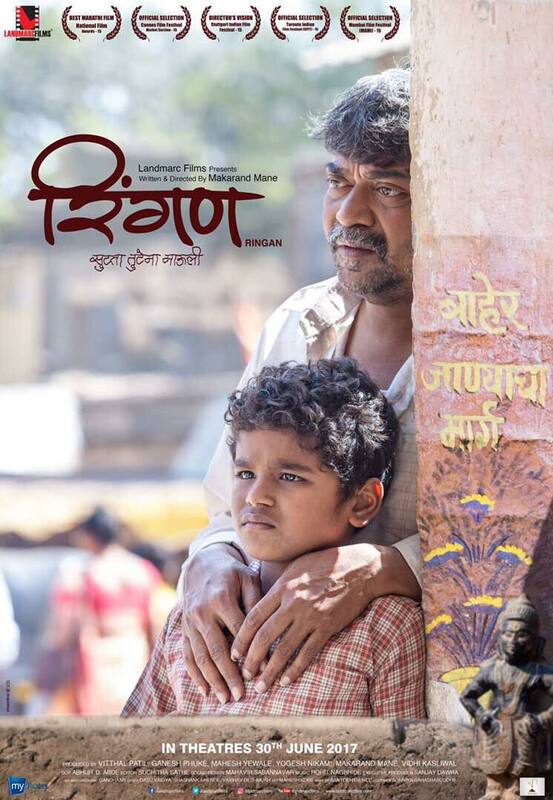 The film has also won six awards at the 53rd Maharashtra State Film Awards 2016 in the categories of Best Film, Best Director, Best Debut (Director), Best Actor, Best Child Actor and Best Cinematography. Since 2015 film has been screened at various National and International Festivals it has even screened at the Cannes Market Section and at the International Indian Film Festival of Toronto. Mane was honoured with the Director's Vision Award at the 14th Stuttgart Indian Film Festival and the film was an entry in the 19th International Children's Film Festival of India. This is "Makarand Mane" debut film as writer-director he is also one the producer of the film, the story of the film is about the bond a Father and son share played by "Shashank Shende" and "Sahil Joshi". It is a story of a farmer played by "Shashank" from Maharashtra state whose only source of income is through farming but due the drought in the region, his livelihood is threatened. When he is unable to repay his loan he considers to give-up his life, but his unconditional love for his son, motivates him not to give-up and he looks for some other work, so as to save his land. 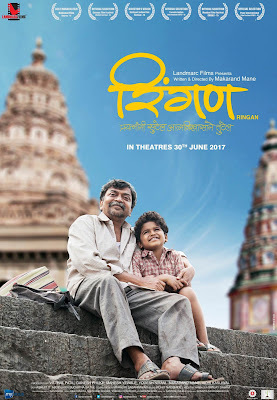 This heart-warming journey of a father-son in pursuit of happiness and love will be presented in front of the audience by Vidhi Kasliwal "Landmarc Films" apart from Vidhi and Mane film is also produced by Vitthal Patil, Ganesh Phuke, Mahesh Yewale and Yogesh Nikam. Other actors in the film are Kaltyanee Mulaye, Abhay Mahajan, Ketan Pawar, Umesh Jagtap, Shantanu Gangane, Vitthal Patil, Shyam Savaji, Govind Bhatlawande, Dattatray Jagtap, Prashant Tapasvi and Omkar Mane, the cinematography of the film is done by Abhijit D. Adbe, music for the movie is composed by Rohit Nagbhide and vocals for the song is given by Ajay Gogawale, Adarsh Shinde, Niranjan Pedgaonkar and Gandhaar, sound designing by Mahavir Sabannavar, background music by Gandhaar, Make-Up is done Santosh Gilbile, Costume by Sonniya Sahasrabuddhe, Art direction by Mahesh Kore and film is edited by Suchitra Sathe. So be ready to watch the heart-warming journey of a father-son in cinema theater from 30th June 2017.